Sir Bobby’s career in football management brought him trophies at home and abroad, the pride of managing both his home-town club and his country, and the honour of managing Barcelona, regarded by most as the biggest club in the world. And looking back on his time in football, there was one player he consistently described as the best he ever worked with, the 20-year-old striker he brought to Barcelona in 1996 – Brazilian legend Ronaldo. The pair worked together for just eight months but such was the mutual respect between them that Ronaldo did not hesitate when asked for help with an auction to benefit his former manager’s cancer charity. Sir Bobby’s Breakthrough Auction, a hugely successful online auction and ball supported by BT Sport, raised money for the Sir Bobby Robson Foundation, Breakthrough Breast Cancer and cancer services within two Suffolk Hospitals. Founded by Gina Long from Suffolk and organised with the help of a dedicated committee, it raised an incredible £361,500 in October last year thanks to the generosity of bidders and support from stars including Sir Alex Ferguson, Jose Mourinho, Andre Villas-Boas, Josep Guardiola, Amanda Holden, Bill Nighy, Piers Morgan, Graeme Swann and Lewis Hamilton. Gina asked Ronaldo if he would like to contribute to the auction and he kindly agreed to donate a signed Brazil shirt and meet up with the winning bidder in London for a photograph. He also took the opportunity to meet with Gina and Sir Bobby’s son, Mark Robson, to find out more about the auction and the cancer charities it is supporting. Ronaldo, an Ambassador for the 2014 FIFA World Cup in Brazil, says: “I was pleased to help Sir Bobby’s Breakthrough Auction. I also have a Foundation in Brazil and I think it’s amazing how people can help others. Considered one of the greatest players of all time, Ronaldo won the FIFA Player of the Year award three times, scored 62 goals for his country and was part of the Brazilian squad that won the 1994 and 2002 World Cups. When Sir Bobby and Ronaldo worked together, Barcelona won the Spanish Cup, the Spanish Super Cup and the Cup Winners Cup. That season, Sir Bobby was named European Manager of the Year and Ronaldo became the youngest player to win the FIFA World Player of the Year. Ronaldo adds: “It makes me feel happy to hear how highly Sir Bobby talked about me because he’s a legend of football. I’m proud to have worked with him. He was an awesome coach and an awesome person. He was like a father to me. “I have had a lot of managers in football but the difference between all of them and Sir Bobby was his humanity and the relationships he had with the players. He was always like a father to everyone. “At Barcelona he spoke to me in Portuguese because, at the time, my English wasn’t good. He was very patient. 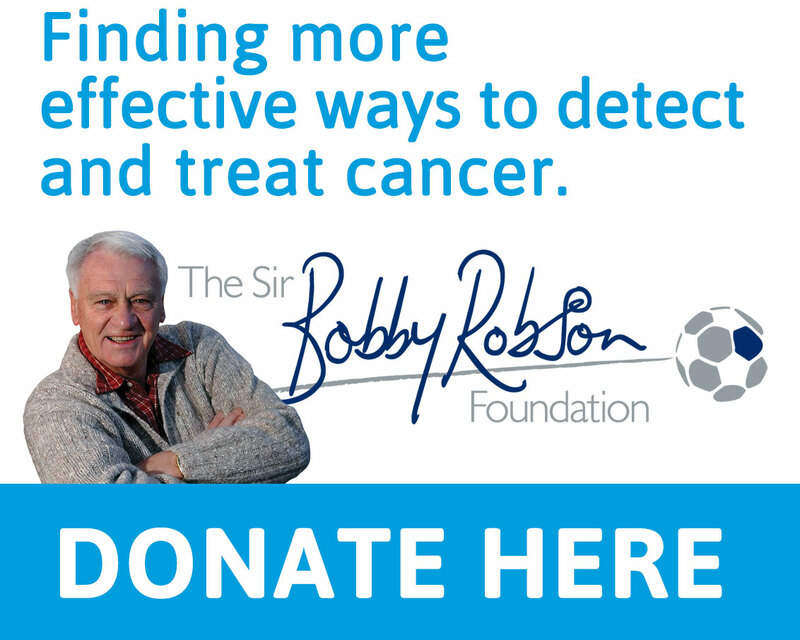 After retiring from football, Sir Bobby put all his energy into the Sir Bobby Robson Foundation, the cancer charity he established in 2008. 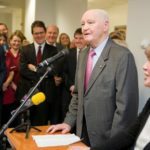 His widow, Lady Elsie, and three sons are helping continue the charity’s work and it has now raised over £5.8million to find more effective ways to detect and treat cancer. 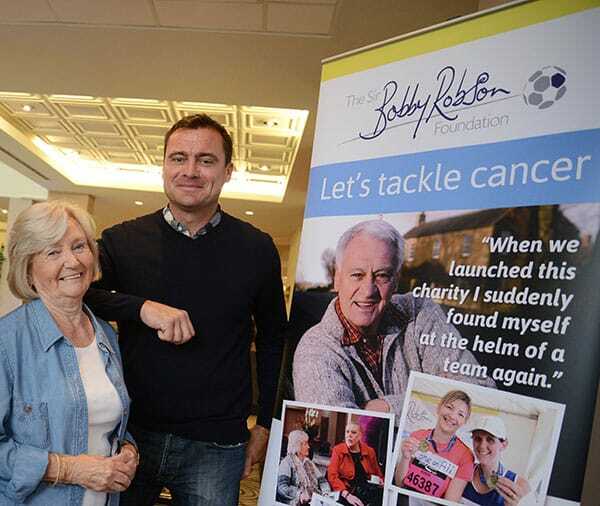 As a fund within the local NHS Hospital’s Charity, the Sir Bobby Robson Foundation relies completely on volunteer fundraisers and Gina Long is one of the most dedicated. Gina says: “We were absolutely thrilled when Ronaldo agreed to help us. And so was the winning bidder of his signed Brazil shirt when he said he’d meet up with him for a photograph. “Having now had the great privilege of meeting Ronaldo, I was so impressed by the humility of the man. His smile lights up the room. This is the second online auction and ball Gina has organised in aid of the Sir Bobby Robson Foundation and Breakthrough Breast Cancer. The first, in 2011, raised almost £250,000 with auction lots including Jose Mourinho’s Ballon D’Or. Gina adds: “Since I lost my good friends Sally Balch and Sir Bobby to cancer, it has always been important to me to raise funds for cancer charities. “During the course of organising this auction cancer struck even closer to home and one my dearest loved ones was diagnosed with a rare cancer; it was beyond a bitter blow. “I really needed the support of the other members of the committee to take Sir Bobby’s Breakthrough Auction forward and it has been an incredible team effort. “The experience has underlined for me the continued importance of supporting charities which are working hard to find a cure for this terrible disease. Sadly, cancer has no boundaries whatsoever. Sir Bobby’s son, Mark, a member of the Sir Bobby’s Breakthrough Auction committee, says: “My Dad just loved Ronaldo. And I was so happy to meet him again after all these years and to be able to thank him in person for helping with the auction. “He still has the same smile he had when Dad brought him to Barcelona from PSV. That was in 1996 when he was only 20 years of age. For more information, please visit www.sirbobbysbreakthrough.com. WE CELEBRATE OUR 10TH ANNIVERSARY!